1st 64bit graphic cards for CAD users. Chipset supports Gourard shading. 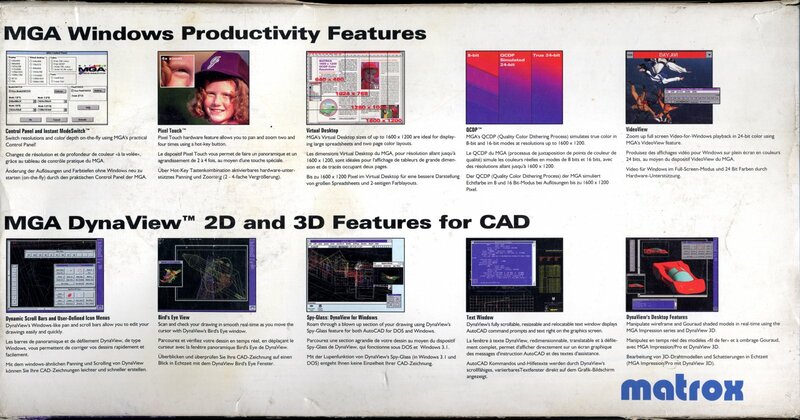 Cards have 3/4,5MB VRAM memory and some models also 2/4MB DRAM as z-buffer for improved 24bit color performance. Prices: MGA Impression Pro $1699, with 4MB DRAM $1999, MGA Impression $999, 2MB DRAM module = +$200. MGA Impression ISA - 3MB VRAM. MGA Impression VLB - 3MB VRAM (8x Hitachi HM538253-8 8x256KB + 8x Mitsubishi M5M482128AJ 8x128kb) + 2MB DRAM (4x NEC 42S4170-80), but what is single VRAM-Chip Toshiba TC524258BJ-80 256KB (?) for?. 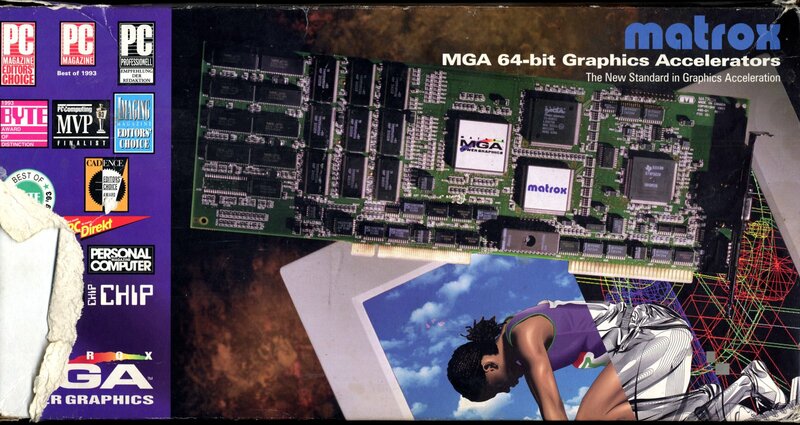 MGA Impression Pro VLB - 4,5MB VRAM + 4MB DRAM, but what is single VRAM-Chip Toshiba TC524258BJ-80 256KB (?) for?.